International transactions and financial reports are now subject to common regulations throughout Europe. The introduction of the Single Euro Payments Area (SEPA) initiative requires companies to use new payment standards, change master data and examine business processes. The idea of SEPA is to make cross boarder payments the same as in-country payments. 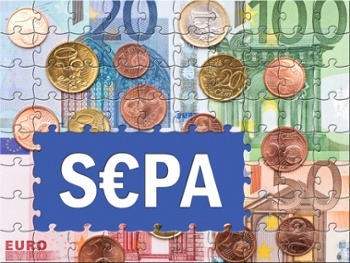 Both the SEPA credit transfer and the SEPA direct debit payment instruments require the international bank account number (IBAN) and bank identifier code (BIC). Companies need to update systems to support both IBAN and BIC. Small and medium-size enterprises therefore face significant challenges when it comes to adapting financial accounting systems to current and future legal requirements. SAP Business One provides the ability to do this virtually automatically. The ERP system meets all requirements of medium-size companies and the financial processes of subsidiaries can be integrated into the company’s IT environment quickly. This lets businesses plan investments reliably, reduces the risk of errors and provides more time to concentrate on core business functions. SAP Business One supports SEPA-compliant bank file formats for credit transfers, standard and company direct debits. The system automatically formats data to match the standard national format of any country, but also allows for the definition of exceptions. The ability to track all banking activities, from cash, advance and credit card payments, credit transfers and direct debits, right up to account reconciliation and issuing and redeeming checks also ensures that bank transactions are always secure. Electronic account statements can be imported and managed in the system, as well as matching incoming and outgoing payments quickly against customer and vendor invoices. Many medium-size companies manage significant asset volume and have to provide precise, detailed information on their assets whenever required – such as when they are being audited. Effective asset accounting can save a lot of time and work if it clearly incorporates all acquisition and disposal of assets, as well as their appreciation and depreciation. Asset accounting is integrated directly into SAP Business One, providing the ability to monitor assets simply and reliably. Changes in value can be documented and mapped and it is also possible to use multiple account records for a single asset, entering the transactions in different accounts simultaneously. This way, financial statements can comply with local and international accounting standards simultaneously (International Financial Reporting Standards, IFRS). Assets can be calculated on a monthly or daily basis and depreciated using the declining- balance method or applying extraordinary depreciation. A multi-level approach also maintains clarity. In the main ledger, value reductions based on purchasing and manufacturing costs, service life and posting can be accounted for. Many corporate groups want to integrate their subsidiaries into their ERP system cost-effectively and compliantly. SAP Business One provides this capability, facilitating uniform accounting throughout the entire company group, effective controlling and quick quarterly and annual accounts. International standards and compliance with special local legal and commercial aspects are guaranteed.